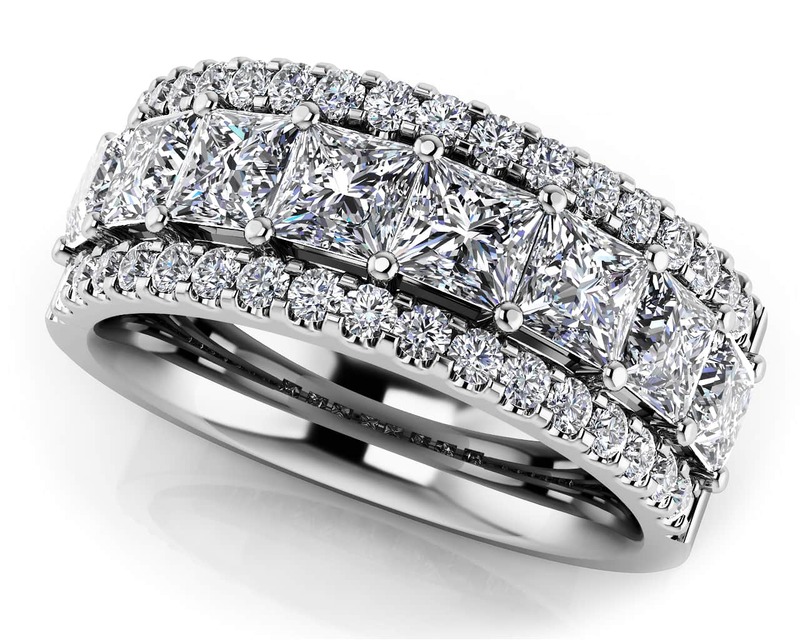 This beautiful band features princess cut center diamonds surrounded on either side by sparkling round-cut diamonds. 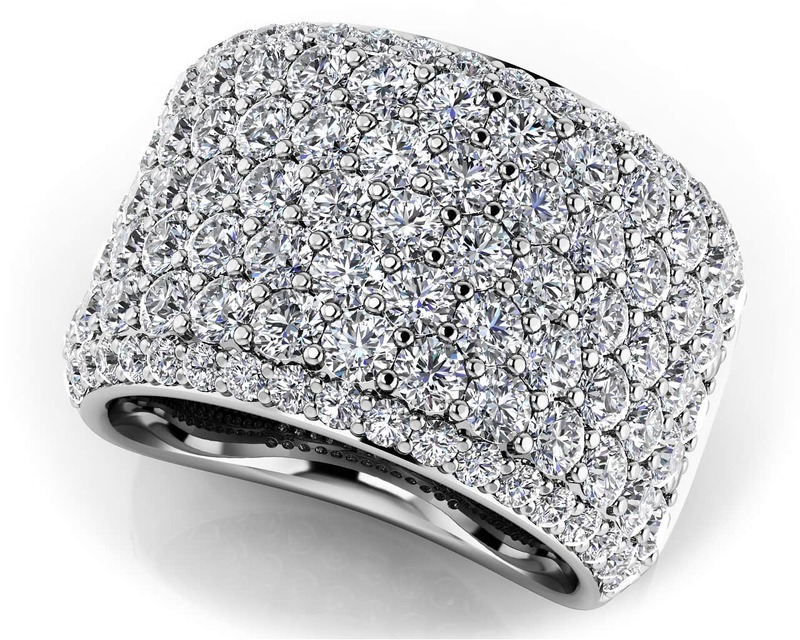 A bold modern look that ravishes will icy beauty. 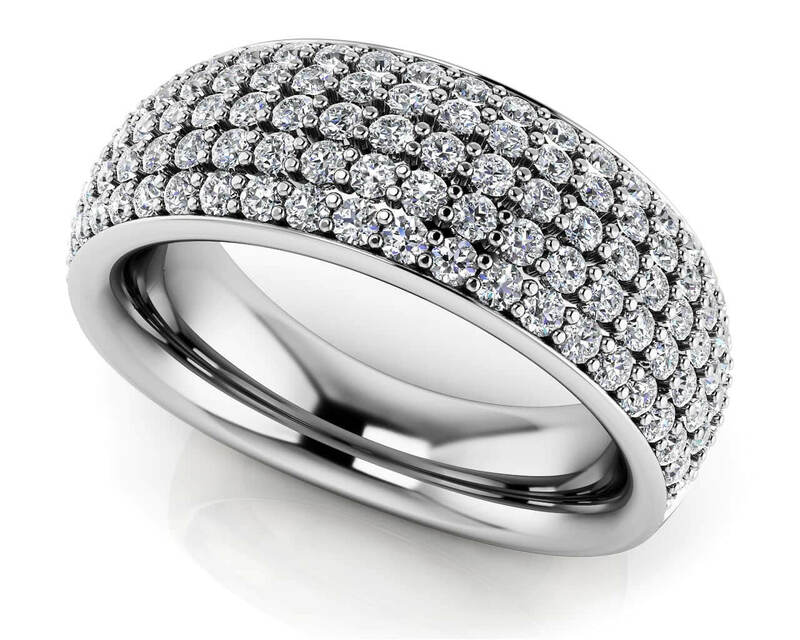 The ring is crafted in your choice of lustrous 14K or 18kt gold or platinum. white gold. Diamond Total Carat Weight in two sizes: 1.24 ct or 2.65 ct.
Stone Carat Weight: 40X.007 ct., 10X.095 ct.